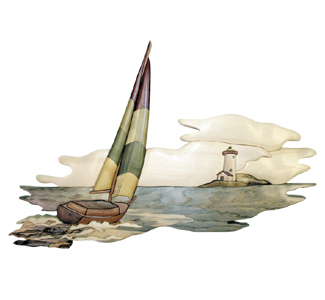 You can almost feel the warm gentle breezes in this sailboat journey home scene! Finished size approx. 14" x 22-1/2" ~ 60 pieces.